This new book finishing service started out because of a conversation between my friends, Kait Nolan and Susan Bischoff. They were talking about the need to earn a little extra money. Let’s be honest here…it’s a hard time for authors right now. Although, it’s great that everyone is able to publish a book now, it DOES lead to more and more books being available to readers. It takes awhile to build a big enough platform to get yourself well-known among readers. In the meantime, money gets tight. 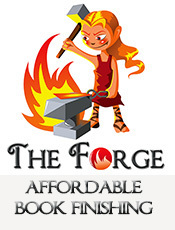 There are three services offered at The Forge. Susan Bischoff is the best content editor I know. Also known as “The Pink Hammer”, she has a wonderful eye for what is missing, what needs to be added, when something doesn’t flow right, etc. They still needed a proofreader, and that’s where I came in. I know most grammar rules, and when I’m in doubt, I look it up. I’m good at spelling, and I’m a comma Nazi. I am FAR from perfect, but I strive to do my very best to proof manuscripts to the best of my ability. When people put their trust in me, I want to deliver. When I was asked to be a part of this, there was a slight hesitation on my part. The reason is, I have a couple of VERY good friends who are proofreaders, and my first thought was “Will they see me as competition?” But, as another friend pointed out, these days, there’s enough work for everyone. And we probably wouldn’t even be exposed to the same potential customers, especially when we all have so many other circles of friends and acquaintances. I’ve been told I always worry too much about these kinds of things, but that’s just me. I can’t help it. LOL. 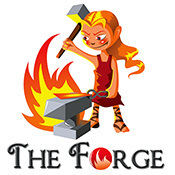 Anyway, if you are looking for a content editor, proofreader, and/or formatter, check us out at The Forge. You might need one, two, or all three services. We are all independent contractors, so you would contact us separately for whatever service you need.